Sylvia Reed graduated from Olivet Nazarene University with a Bachelor of Science degree in Business Management and a minor in Communications. 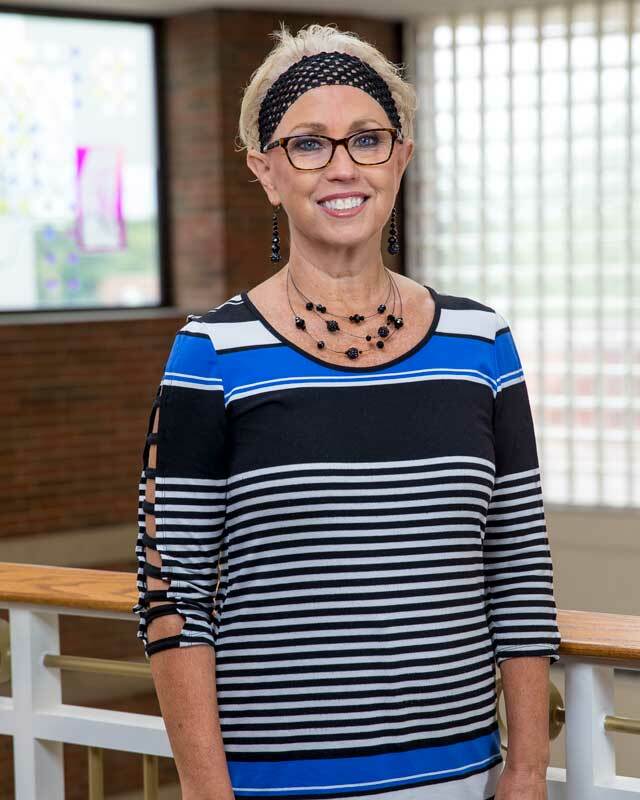 After graduation Sylvia married Rick Reed, a Huntington native, who had just accepted a teaching position for Huntington County Community School Corporation. After exploring various employment opportunities in the area, Sylvia landed here at Huntington University working in the Business Office. Several years later Sylvia accepted the very first position in administrative campus technology, with the purchase of our administrative software, CARS Information Services, now Jenzabar. Technology Services has now grown to nine employees and much more lively staff meetings. Sylvia’s responsibilities include maintenance and development of the campus administrative database and software that supports all student, personnel, vendor and constituent related data. Originally from Grand Blanc, Michigan, Sylvia loves to travel, sing, and spend time with family and friends. She is also involved in ministries at Huntington First Church of the Nazarene. Her husband, Rick Reed, is the principal at Salamonie Middle School. They have three children, Megan, Bradley and Anna, who all graduated from Huntington North High School and are currently attending college and graduate school.